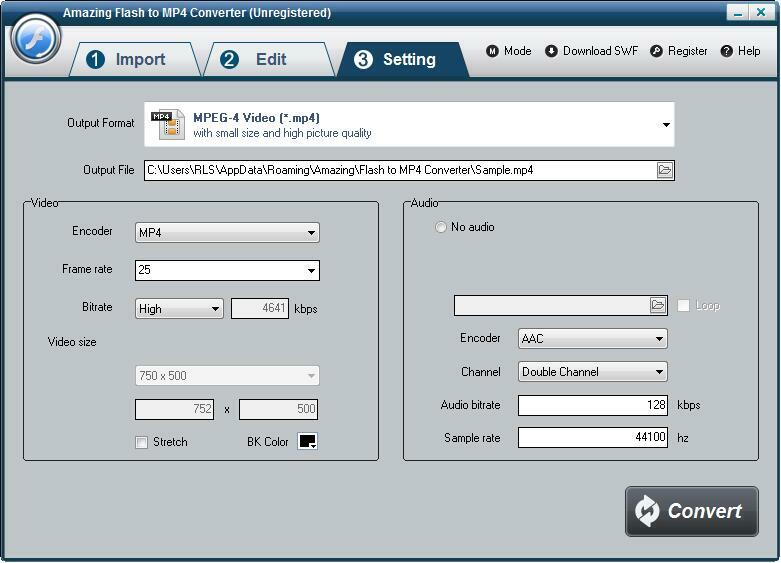 Amazing Flash to MP4 Converter software can convert SWF to MP4 format as well as edit and watermark SWF files. 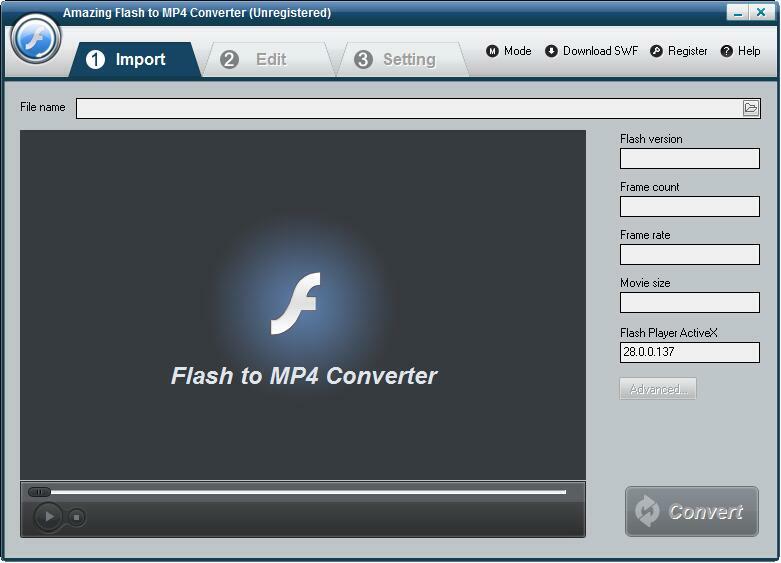 Download, install and launch Amazing Flash to MP4 Converter on your computer. Click "Import" image button to load flash .swf file. Click "Download SWF" image button to load SWF video online. Select "Batch Mode" to convert multiple SWF videos. Click "Edit" button to edit Flash SWF video (Optional). 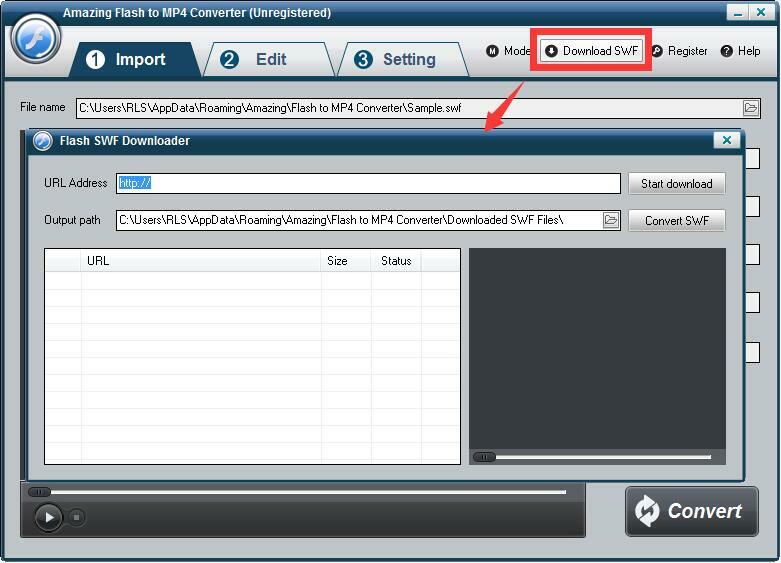 Optimize the output settings and click "Convert" image button to start to convert Flash to MP4. 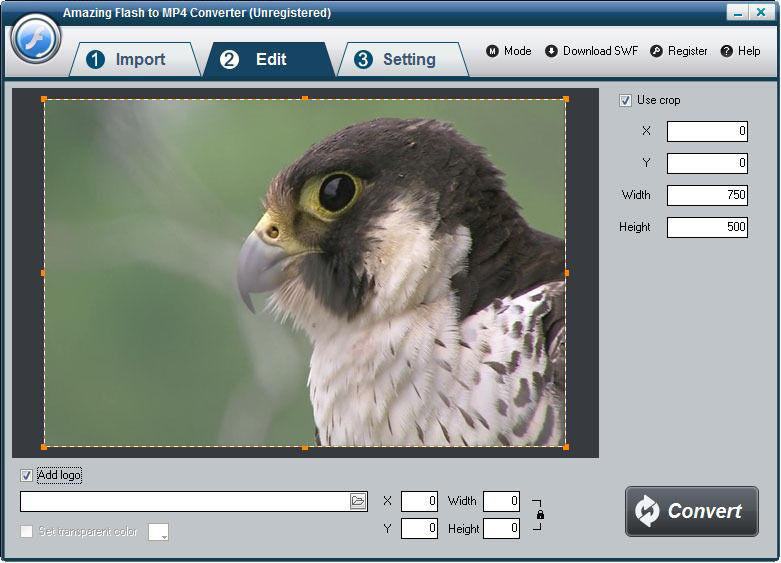 Joanna - Amazing Video Converter Ultimate is an All-in-one multimedia tool includes DVD Ripper, Blu-ray Converter, Video Converter, 3D Converter and Music Converter. 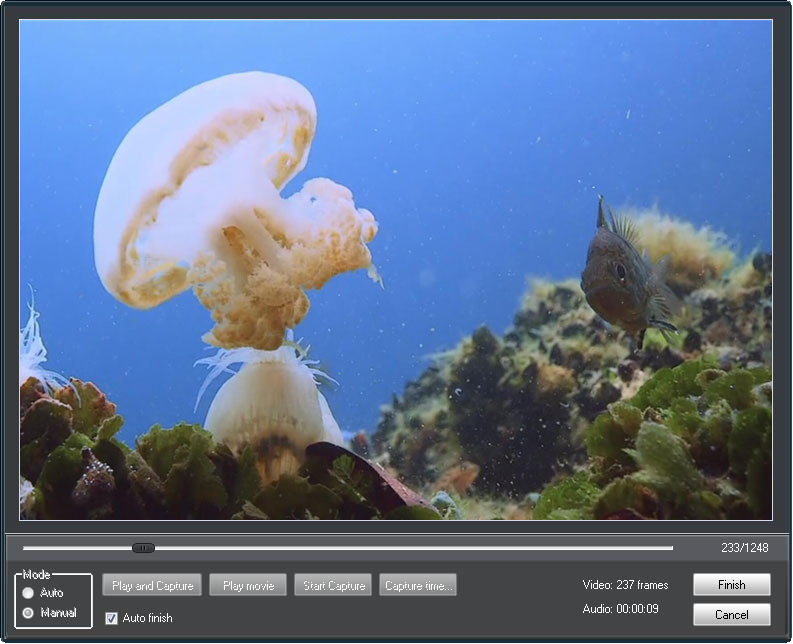 Vanessa - Convert SD and HD video to MP4 video with best image & sound quality.